Bronson was beaten over the head with a hammer, permanently affecting his balance and eyesight. 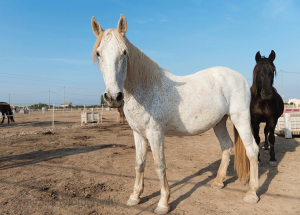 Yet he is the kindest, happiest horse. 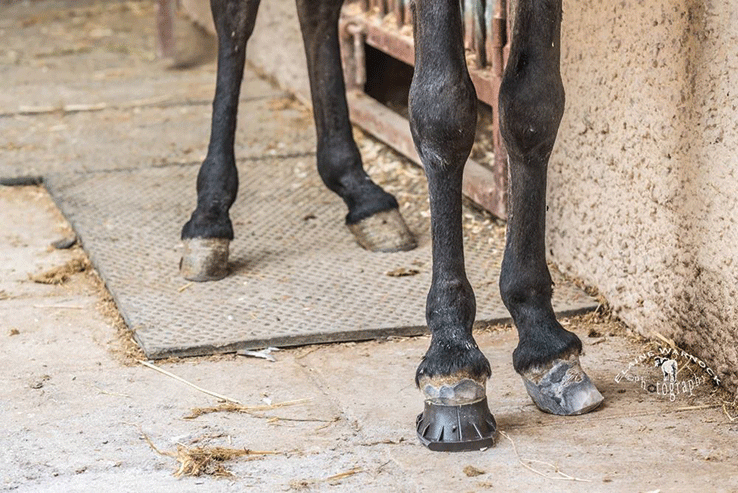 Easy Horse Care is regularly contacted about abused, mistreated or neglected horses, ponies and donkeys, but please be aware that our organisation is basically just Sue and Rod Weeding, with a small team of part-time volunteers. You must officially report the matter to police. In most cases, we cannot step in to save an animal until we have official permission from the police. A denuncia sends a clear message that abuse and neglect will not be tolerated. 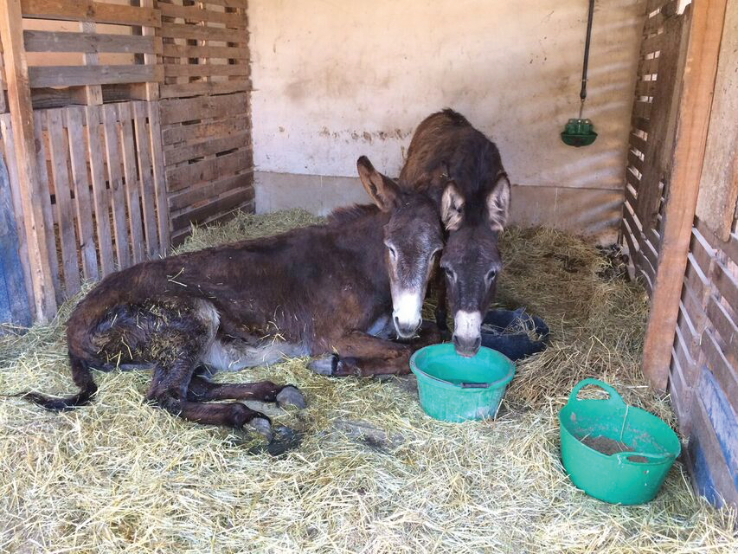 You are welcome to alert us to cases of mistreatment by contacting us on rescue@easyhorsecare.net or call +34 652 021 980 during business hours. 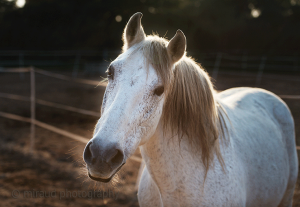 Tell police that you have contacted the Easy Horse Care Rescue Centre and that we may be able to assist. This can help move the case forward more quickly, as the police will understand that there is somewhere to take the animal after it has been seized from its owner. 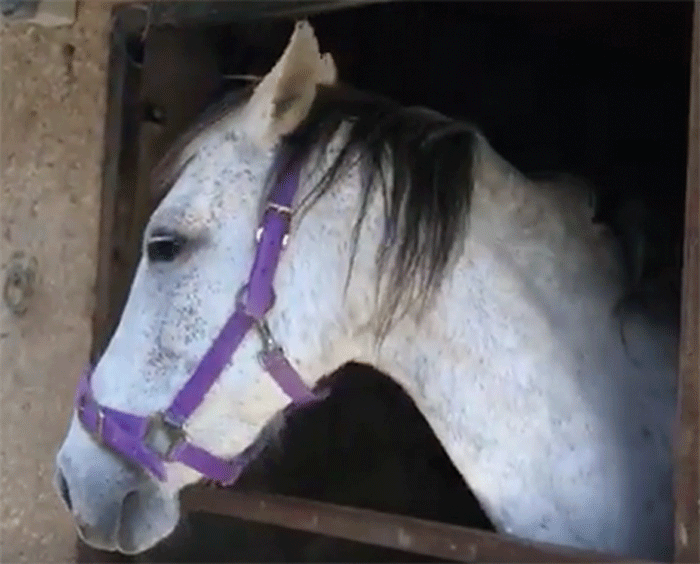 Meet the 14 horses we saved from a bankrupt horse dealer, who was later convicted of animal abuse. They will never again be chained to walls. Seprona (Servicio de Protección de la Naturaleza) is a Guardia Civil unit that manages nature conservation and animal welfare across Spain. 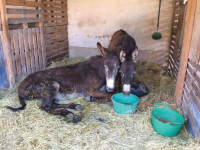 You can also email seprona@guardiacivil.org to report a welfare concern. A denuncia must be done at your local Police Comisaría. Denuncias are best done in Spanish so you may need to take a Spanish-speaker to the police station with you. You can also report the matter to your local ayuntamiento. It is rare for action to be taken quickly and you will likely have to be persistent and will probably need to follow up the complaint a number of times. It may be helpful if you can get other people to complain, too. The more complaints received about a case, the more likely it is that action will be taken. 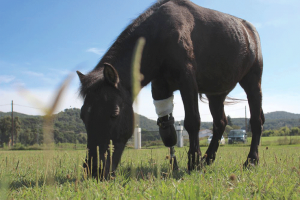 Faith is famous in Spain as the first pony to be given an artificial leg after her front foreleg was amputated in a life-saving operation. If you are making your complaint to the ayuntamiento, you may need to remind them that they have the power to act under animal mistreatment laws. Article 21 of Law 4/94 is particularly important. Council officials should know this, but some may not! Things are gradually improving as the mistreatment of animals becomes increasingly publicly unacceptable. However, for these changes to really take hold, those in power must understand that the majority of people want to see an end to animal cruelty. Public opinion is the most powerful force for change, so please, if you come across any case of cruelty towards any animals, do your bit to help drive change and report the abuse to police immediately.